Eric D. Green, MD, PhD, is the Director of the National Human Genome Research Institute (NHGRI) at the National Institutes of Health (NIH), a position he has held since late 2009. Previously, he served as the NHGRI Scientific Director, Chief of the NHGRI Genome Technology Branch, and Director of the NIH Intramural Sequencing Center. Dr. Green received his B.S. degree in Bacteriology from the University of Wisconsin-Madison in 1981, and his M.D. and Ph.D. degrees from Washington University in 1987. During residency training in clinical pathology (laboratory medicine), he worked in the laboratory of Dr. Maynard Olson, where he launched his career in genomics research. While directing an independent research program for almost two decades, Dr. Green was at the forefront of efforts to map, sequence, and understand eukaryotic genomes. His work included significant, start-to-finish involvement in the Human Genome Project. These efforts eventually blossomed into a highly productive program in comparative genomics that provided important insights about genome structure, function, and evolution. His laboratory also identified and characterized several human disease genes, including those implicated in certain forms of hereditary deafness, vascular disease, and inherited peripheral neuropathy. As Director of NHGRI, Dr. Green is responsible for providing overall leadership of the Institute’s research portfolio and other initiatives. In 2011, Dr. Green led NHGRI to the completion of a strategic planning process that yielded a new vision for the future of genomics research, entitled Charting a course for genomic medicine from base pairs to bedside (Nature 470:204-213, 2011). Since that time, he has led the Institute in broadening its research mission; this has included designing and launching a number of major programs to accelerate the application of genomics to medical care. Beyond NHGRI-specific programs, Dr. Green has also played an instrumental leadership role in the development of several high-profile efforts relevant to genomics, including the Smithsonian-NHGRI exhibition Genome: Unlocking Life’s Code, the NIH Big Data to Knowledge (BD2K) program, the NIH Genomic Data Sharing Policy, and the U.S. Precision Medicine Initiative. 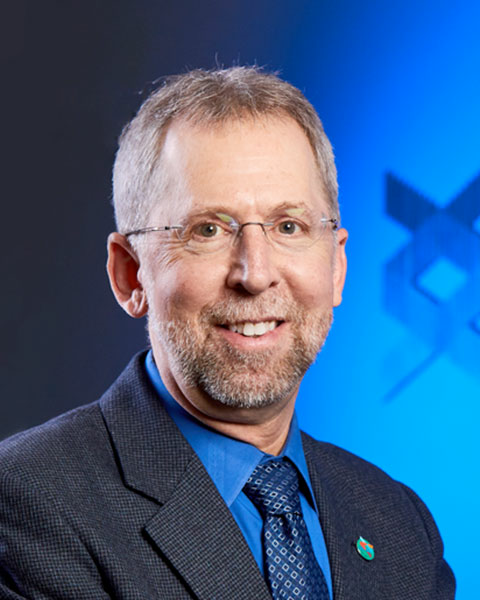 Bio: Eric D. Green, MD, PhD, is the Director of the National Human Genome Research Institute (NHGRI) at the National Institutes of Health (NIH), a position he has held since late 2009. Previously, he served as the NHGRI Scientific Director, Chief of the NHGRI Genome Technology Branch, and Director of the NIH Intramural Sequencing Center. Dr. Green received his B.S. degree in Bacteriology from the University of Wisconsin-Madison in 1981, and his M.D. and Ph.D. degrees from Washington University in 1987. During residency training in clinical pathology (laboratory medicine), he worked in the laboratory of Dr. Maynard Olson, where he launched his career in genomics research. While directing an independent research program for almost two decades, Dr. Green was at the forefront of efforts to map, sequence, and understand eukaryotic genomes. His work included significant, start-to-finish involvement in the Human Genome Project. These efforts eventually blossomed into a highly productive program in comparative genomics that provided important insights about genome structure, function, and evolution. His laboratory also identified and characterized several human disease genes, including those implicated in certain forms of hereditary deafness, vascular disease, and inherited peripheral neuropathy. As Director of NHGRI, Dr. Green is responsible for providing overall leadership of the Institute’s research portfolio and other initiatives. In 2011, Dr. Green led NHGRI to the completion of a strategic planning process that yielded a new vision for the future of genomics research, entitled Charting a course for genomic medicine from base pairs to bedside (Nature 470:204-213, 2011). Since that time, he has led the Institute in broadening its research mission; this has included designing and launching a number of major programs to accelerate the application of genomics to medical care. Beyond NHGRI-specific programs, Dr. Green has also played an instrumental leadership role in the development of several high-profile efforts relevant to genomics, including the Smithsonian-NHGRI exhibition Genome: Unlocking Life’s Code, the NIH Big Data to Knowledge (BD2K) program, the NIH Genomic Data Sharing Policy, and the U.S. Precision Medicine Initiative.